Brazil has a lot to offer to tourists with lots of culture, a party atmosphere and some scrumptious indigenous dishes. But the real jewel in the crown is the scenery in Brazil. Some of the best beaches on the continent are dotted sporadically along the Brazilian coast so lets take a look at some top beach destinations with a samba flavour. 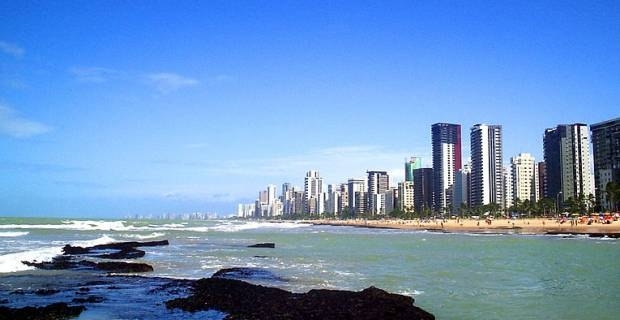 In Brazil, the best beaches are scattered all over with many within a short drive from the major cities. We will start with perhaps the most famous of all Brazilian beaches, Copacabana beach in Rio de Janeiro. 4km of white sand stretch along the coast of the city with a 4km promenade to match is enough to bring beach lovers a burst of joy. Copacabana makes for a great day out while sleeping in Rio for a few nights. Bonete beach is located on the island of Ilhabela, just off the coast near Sao Paulo. It is a short and compact beach with some large and refreshing waves to keep your swim entertaining. It is just a short skip and a jump from Sao Paulo so definitely make the effort if you are in town. 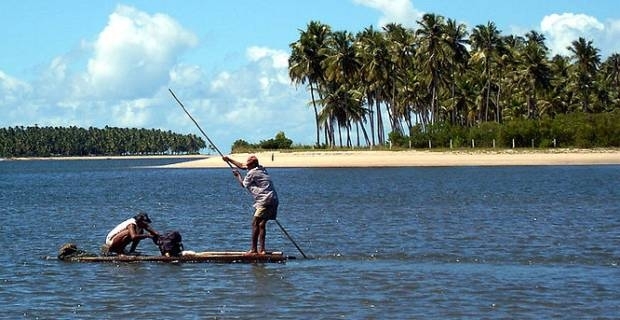 Make your way from Sao Paulo to Sao Sebastiao and take a boat to the island. Jericoacoara, located in the northeast, is an absolute gem of a find. Home to a little rural fishing village, the beach at Jericoacoara is unspoiled by any tourist development along the shoreline. The water is also ideal for surfing activities be it windsurfing, kite surfing or wakeboarding. Located about halfway between the cities of Sao Luis and Fortaleza, Jericoacoara is easily accessed while in the north of the country. The number one beach in Brazil of the best beaches though lies a little out into the Atlantic ocean on the island of Fernando de Noronha. Praia do Sancho beach is one of the most captivating beaches you will ever set foot on as it is surrounded by cliffs nd it faces west back towards the mainland. You can fly to Fernando de Noronha from major airports in Brazil.